When the UK sun emerges, most people think of Cornwall and Brighton—but, with its authentic coastal charm, natural beauty and wealth of local produce serving cosy English pubs, the best things to do in Norfolk should be talked about more often. In any weather, the Norfolk coast is a looker. 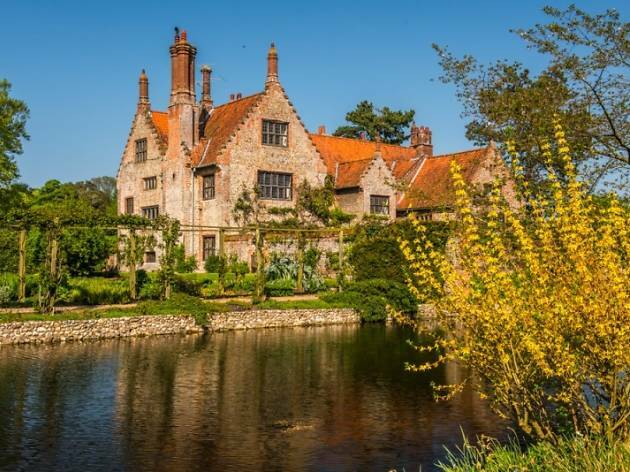 You’ll find everything here: from an old-school pier and a traditional British circus to vast fields of purple heather and hidden sandy paths. Time to book your trip. What is it? 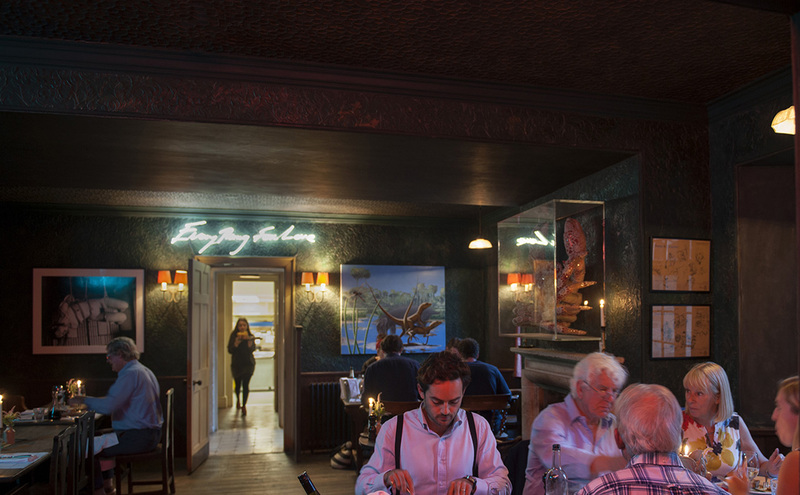 A truly authentic pub with dishes based around local venison and fish. 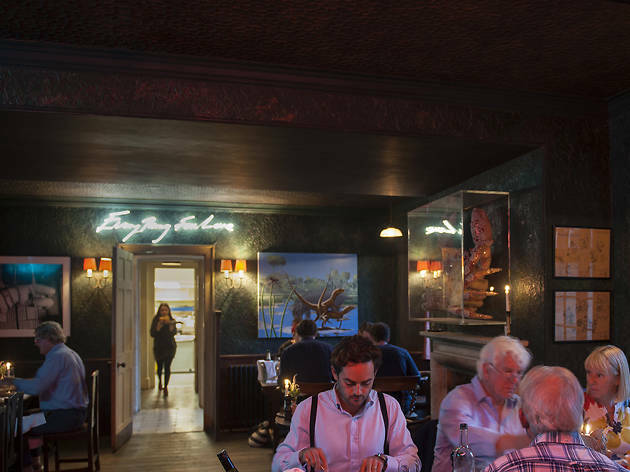 An open fire in the Elk Room, where roasts are cooked daily, gives it an intimate atmosphere. Why go? The Elk Room features an enormous elk skull – antlers and all – over said open fire. And in the midst of all the heritage country splendour, look out for artwork by Tracey Emin, Damien Hirst and Lucian Freud. The pub is also right by the charming 1,000-acre Gunton deer park. What is it? 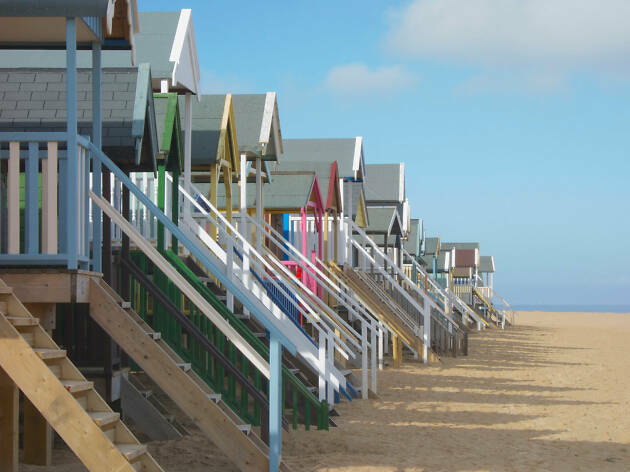 A sprawling sandy bay dotted with classic beach huts that look like they’re straight from a picture book. Why go? For a trip back in time to the Victorian British seaside. 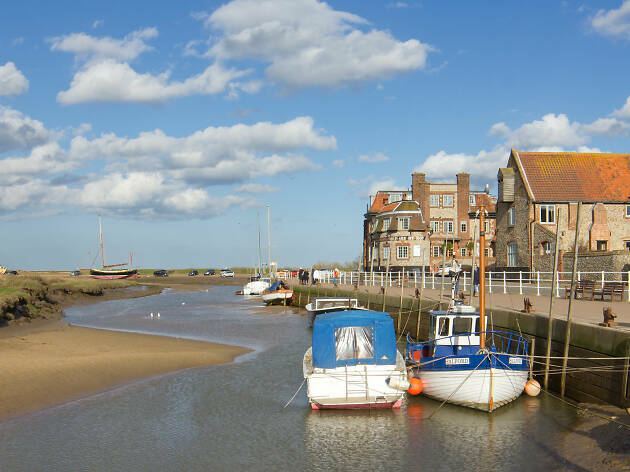 With a secluded vibe and pastel-coloured beach huts lining the promenade, Wells-next-the-Sea is the perfect picnic spot. What is it? A salt marsh that’s home to several hundred seals. Go see it by boat for a closer look. Why go? 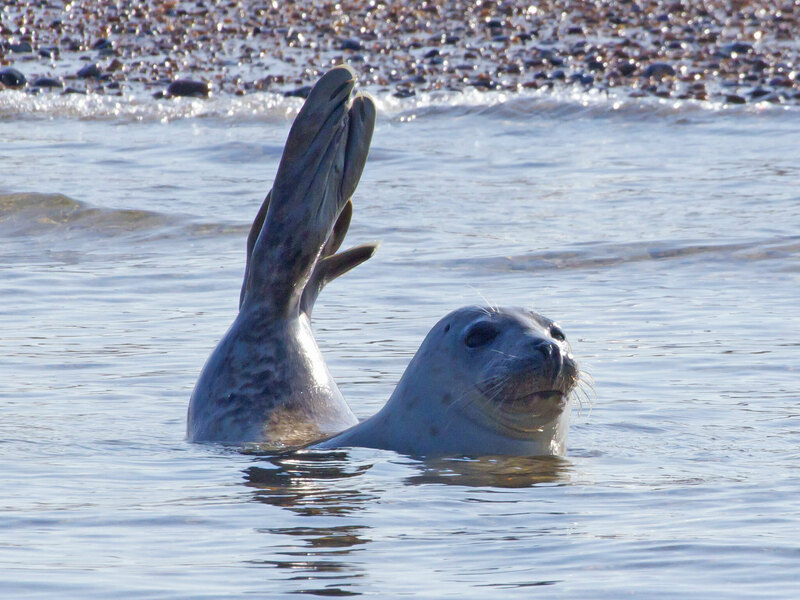 What could be a better memory (or photo) than hundreds of seals basking in the Norfolk sun? It’s also worth a trip in winter: if you’re there between November and early January, there’ll be pups. What is it? 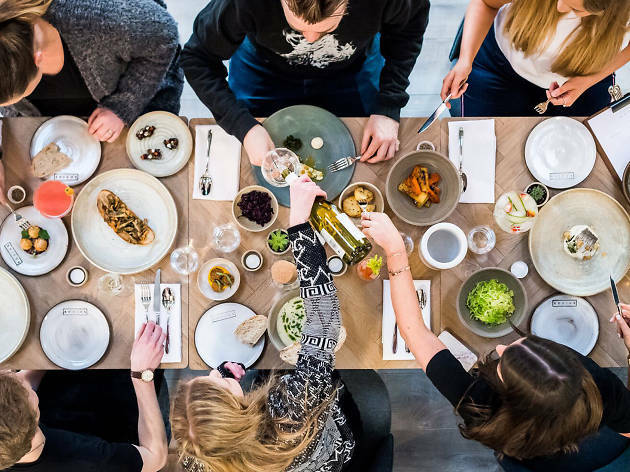 A pared-back restaurant with emphasis on sociable dining, open spaces and a smart, tasteful take on British-influenced tapas. Why go? Menus change daily depending on what’s in season locally, but expect anything from Norfolk quail with charred sweetcorn to asparagus with beetroot, goat’s cheese and hazelnuts. 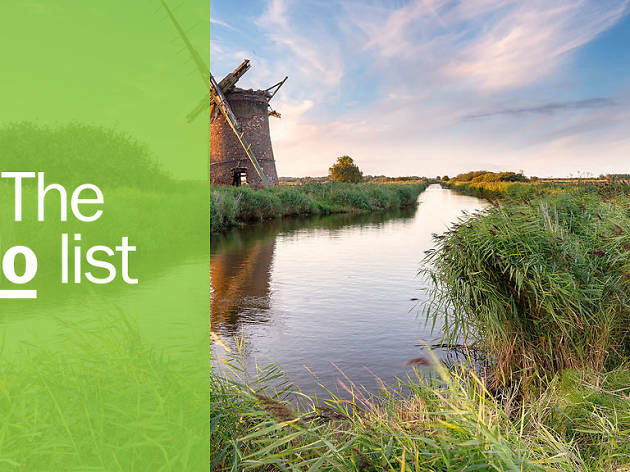 The simple, enjoyable environment it’s served in fits perfectly with the Norfolk countryside. What is it? A village on the North Norfolk coast, littered with flint cottages and in a prime position for open views of the marshlands. Why go? For beautiful walks. 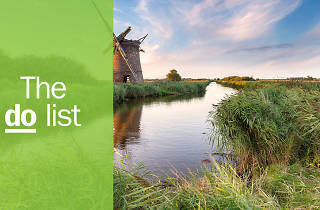 Blakeney is an authentically charming coastal village and fully deserves its Area of Outstanding Natural Beauty badge. What is it? A wide expanse of heather that blooms in pink and purple between July and September. Why go? 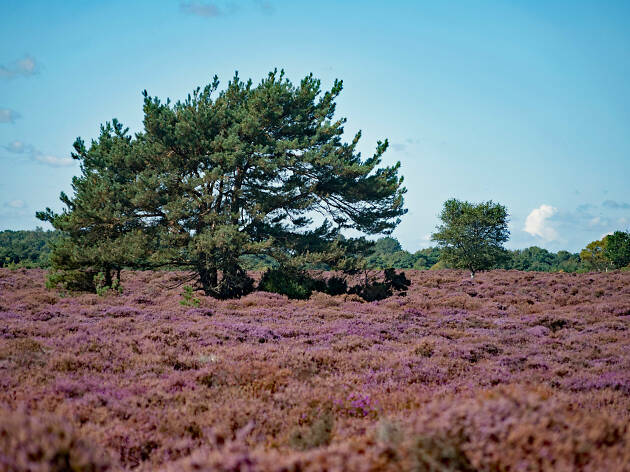 It’s renowned for being peaceful and quiet, and the deep-hued carpet of heather in the summer is the perfect accompaniment to a country walk. What is it? A pier stretching 151 metres over the North Sea. 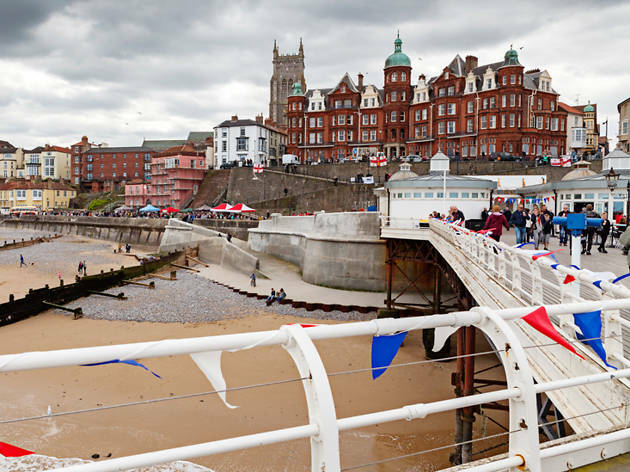 Its early twentieth-century Pavilion Theatre is home to the only end-of-pier show in Europe. Why go? To experience a good old-fashioned British pier that’s relatively untouched by the usual commercial seaside tat. And if you choose to hit up the show, you’ll get classic West End ballads, outlandish costumes and plenty of slapstick. What is it? A mystical circular dip in south-west Norfolk, which fills with an ominous pool of water, completely unrelated to rainfall. Why go? For an eerie perspective on the Norfolk countryside, this natural phenomenon is best seen at dawn in the fog. What is it? 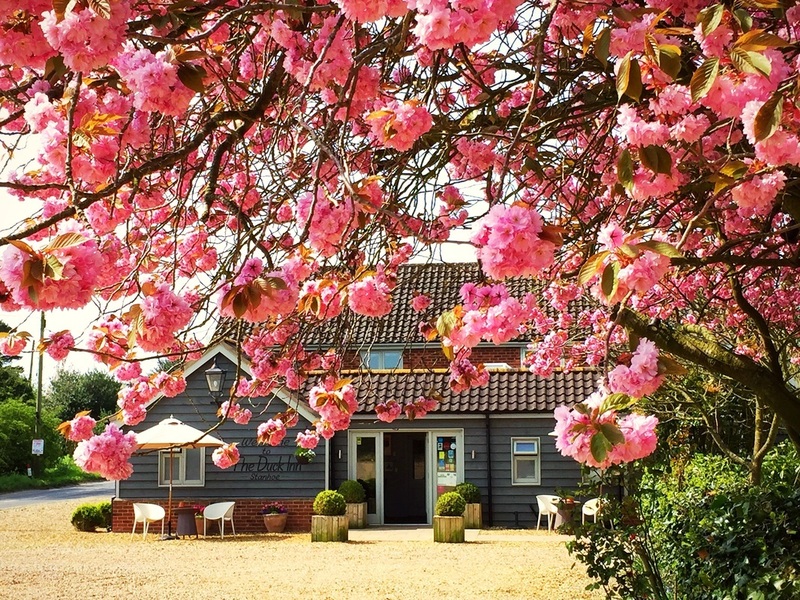 A pub with a plethora of awards, serving well-made, beautiful pub lunches and dinners in a rustic homely setting. Why go? The Duck Inn provides quality British pub food with an inventive slant and Michelin-level presentation. 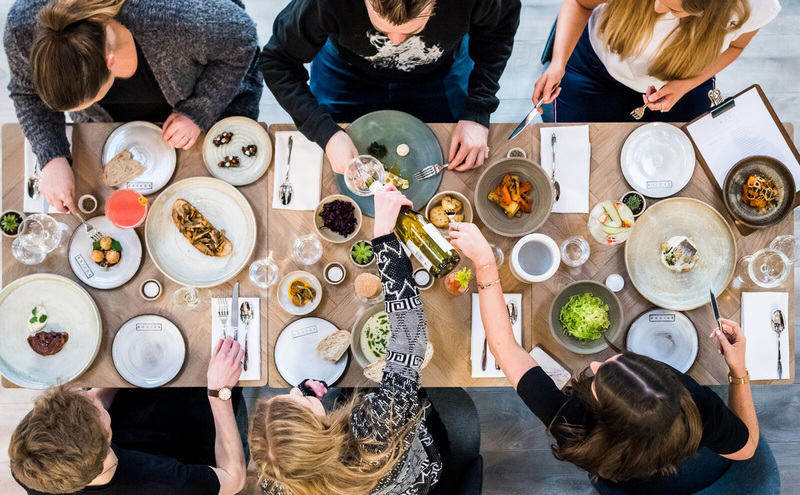 You’ll find daring dishes from rare-roast pigeon to beetroot-cured halibut and baked skatewing on the seasonal menu. What is it? A quaint, postcard-pretty area full of historic buildings with an emphasis on community. Why go? 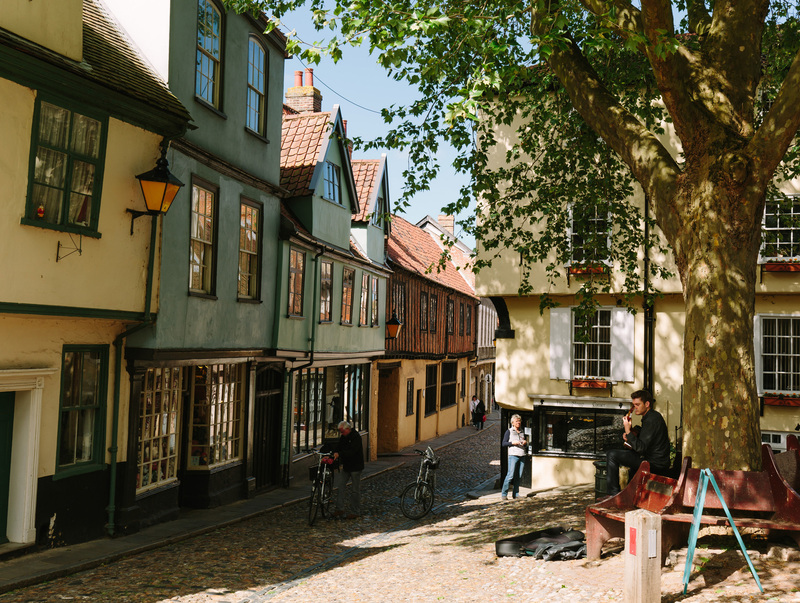 The Quarter could provide a beautiful backdrop to any fairytale and the cobbled streets – with their wide range of independent matchbox-sized stores, cafés and restaurants – are well worth a walk down. What is it? The Hippodrome in Great Yarmouth is Britain’s last-surviving full circus building, built in 1903 by circus showman George Gilbert. Come here for classic circus spectacles, seated in the round. Why go? It has all the character of a city circus but in a beautiful seaside setting, and has hosted greats from Houdini to Charlie Chaplin. If you want a break from country walks and pub lunches, this will provide some lively entertainment. What is it? A real-life secret garden with perfectly untamed nature. Why go? 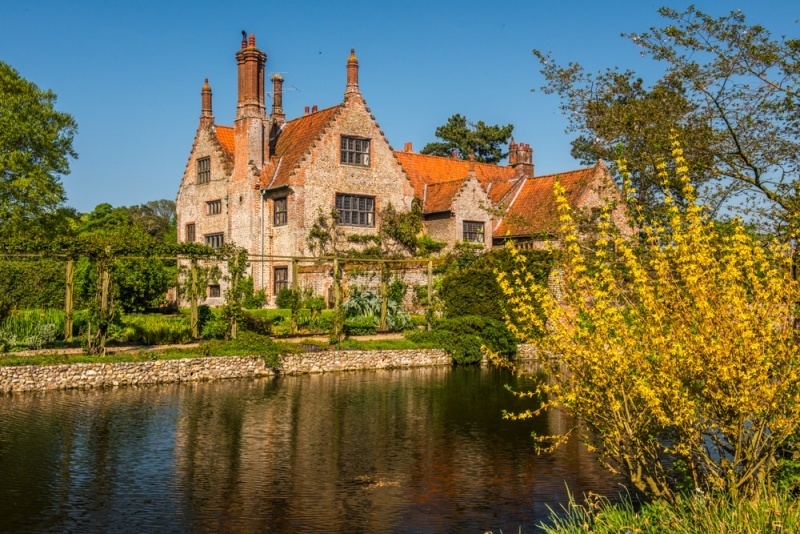 Be enchanted by the beautiful space, especially the Wild Garden, where you’ll spot a cupola from the Henry VI Chapel of Westminster Abbey in front of the border. Plus, an authentic afternoon tea is served in pretty bone china in the café by the entrance of the garden. What is it? One of the largest and oldest open-air markets in England. Its colourful, traditional stalls set up from Monday to Saturday, providing space for 189 independent businesses. Why go? 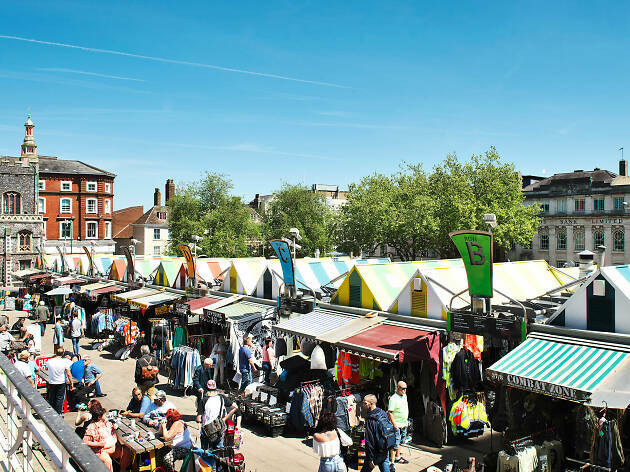 Norwich Market is big enough to browse in, not too large to get lost in, and a real local gem. A huge variety of produce here means fish and chips are not your only seaside-dining option.